Link Tochigi Brex (B1 League) signed 32-year old American center Andrew Naymick (209-113kg-85, college: Michigan State). It is actually his comeback to Tochigi as he has played here before. Naymick played last summer at Stirling Senators in Australian SBL. In 16 games he had 7.1ppg, 7.6rpg, 1.6apg and 2.0bpg. 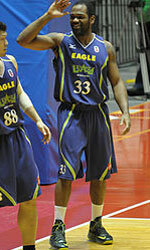 The last season Naymick played at Toyota Alvark (B League) where in 34 games he recorded just 2.8ppg and 3.3rpg. The list of the past achievements is quite long as among others Naymick was voted Eurobasket.com All-Polish League Center of the Year back in 2009. He is quite experienced player. Naymick has played in seven different countries on four different continents (Europe, Asia, Latin America and of course North America). He has played previously professionally in Germany (BBC Bayreuth), Greece (Aris), Mexico (Soles), Puerto Rico (Atleticos), Spain (Caceres_Basket), Poland (Kotwica) and Czech Republic (CEZ Nymburk). Naymick attended Michigan State until 2008 and it will be his tenth season as a professional player. He could be described: Extremely intetlligent, non-selfish player. Played for legendary Coach Tom Izzo for 4 years at Michigan State University which is one of the most prestigious programs in College Basketball. Very athletic post player with good hands and nice touch around the basket. 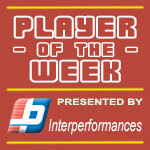 Great footwork, runs the floor well, excellent above-the-rim rebounder and shot blocker. Very good touch from outside as well that creates major match up problems for opponents.